If you’ve spent any significant amount of time around this blog, you know that occasionally I get too busy to write, but then I rebound with a huge entry, often about either musicology or childhood. This entry manages to include both, which means—naturally—that it will be a very long entry. Don’t let that deter you, though; you also know by now that I would never steer you wrong or share things with you that I didn’t think were important or interesting enough to share. 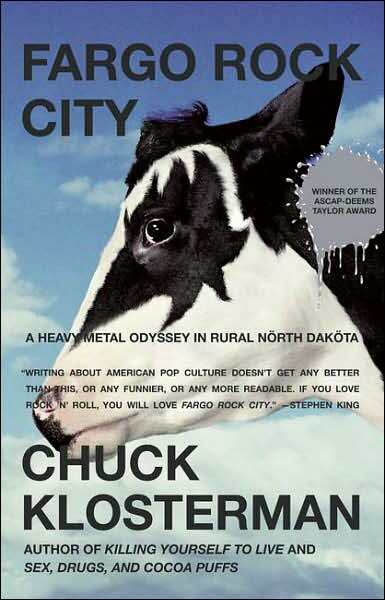 I recently started reading Chuck Klosterman’s book Fargo Rock City, about heavy metal from the 1980’s, to which time has not been kind. He takes the position that while it may look a little strange from the outside, particularly with almost thirty years of hindsight, those who loved that music—including Chuck and myself—feel that it did a lot for us back then, but that it hasn’t received the respect that it deserves. The book is also autobiographical, about a disaffected kid growing up in a tiny town in the middle of nowhere, who connected deeply with a style of music that offered glimpses of a strange new world and a completely different lifestyle. I can definitely relate. Klosterman’s obsessive knowledge of the bands has made me nostalgic for that music, and I’ve gone back recently and reconnected with some of the stuff I used to love. My personal favorites were Kiss, Dokken, Ratt, Triumph, Dio, and Ozzy Osbourne. I should admit that some of them have held up better over time than others have. The first cassette I bought was Shout at the Devil by Mötley Crüe (umlauts intentional) in 1983, and the last was All Systems Go by Vinnie Vincent in 1989. 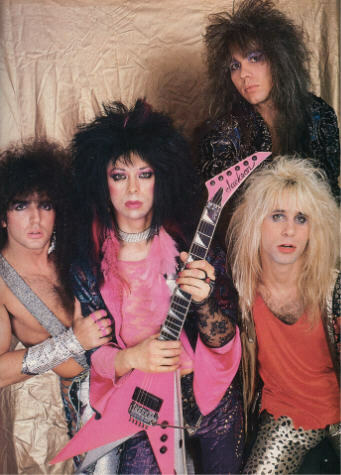 Much has been written about Mötley Crüe, but precious little has been written about Vinnie Vincent, whose story is extremely interesting, even if (and possibly especially if) you know absolutely nothing about either him or heavy metal. Vinnie became an instant celebrity when he replaced Kiss’s original and longtime lead guitarist, but I think a little bit of context is in order. Kiss was in trouble in 1982. They had sold millions of records throughout the 1970’s, but times—as well as musical tastes—were changing. 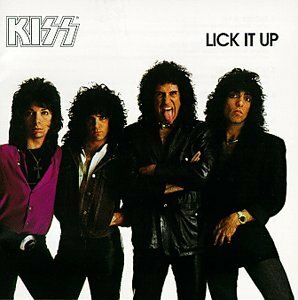 Kiss had also jumped the shark with a couple of strange (pronounced “crappy”) albums in a row; a disco one and their famous flop Music From “The Elder,” which is a bizarre cross between Pete Townshend, David Bowie, and a Broadway musical. It was seriously weird, and their fans didn’t know what to do with it, but they DID know not to buy it. The band needed to find their way back, and in doing so, a couple of painful changes were necessary. The original drummer, Peter Criss, was the first to go. He had been suffering from the excesses of the rock ‘n’ roll lifestyle for quite some time, and was injured in a car crash which left him out of commission for a while. The band had to postpone or cancel much of their subsequent tour, and Peter’s drinking and drug use had become a problem, so he was fired on May 18, 1980. I had to look up that date, but you can understand why I might have overlooked that tidbit in the news of the day, because I was too busy paying attention to Mount St. Helens, which erupted early that morning and buried Yakima (the town in which I grew up, and the nearest big town in the path of the eruption) under an inch or two of ash. 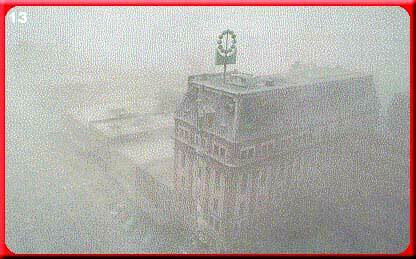 So we had bigger things to deal with than some drummer being fired in New York City. Next to be handed his walking papers was the original guitarist, Ace Frehley. He, like Peter Criss, had spent many years drinking heavily, even going so far as to bring cases of Dom Perignon champagne with him when he was on tour. He was constantly drunk onstage and in interviews, and the other band members had had enough. 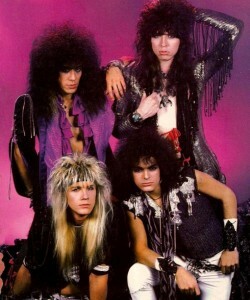 Ace, like the public, was also frustrated with the musical direction the band had taken, and was tired of always being outvoted by the band’s leaders, Paul Stanley and Gene Simmons. Vinnie landed one of the biggest gigs in rock and roll. The album was the strongest Kiss had created in quite a few years (it remains my favorite of their albums), and it even spawned a couple of hits on the then-fledgling MTV. The band was back on top, with a great new drummer and a fiery lead guitarist. But Vinnie was a tough sell for the fans. 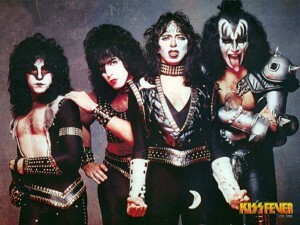 Replacing an original band member is no easy task, and Vinnie never felt like a ‘true’ member of Kiss. Even his stage persona, the Ankh Warrior, didn’t quite rise to the mythological status of Gene’s Demon or Paul’s Star Child, and Vinnie seemed a bit amorphous or strange compared to them. But by this time—1984—the cracks were beginning to show. Vinnie didn’t fit in with the other guys, and they weren’t getting along very well. He also didn’t feel that he was being fairly compensated for his songwriting. 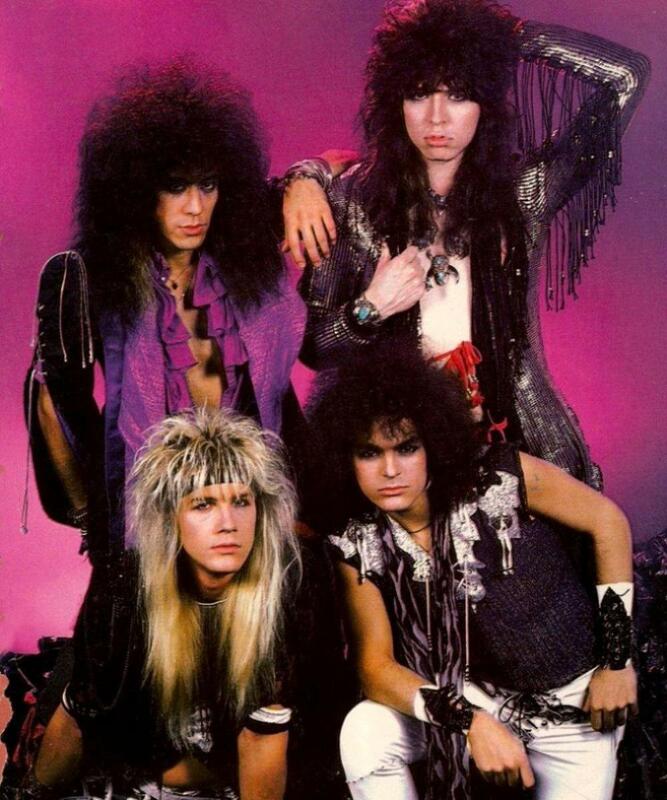 The royalties for some of their biggest hits of the time went to Gene and Paul, who kept Vinnie and drummer Eric Carr on salary as ‘for hire’ sidemen, rather than full-fledged band members. This rubbed Vinnie the wrong way, because he felt he had contributed much more than the somewhat low status of a sideman would take into account. It was decided that he should leave the band. He sued Kiss for royalties, but was unsuccessful. See what I mean? He and the band just seemed like used-up gay prostitutes compared to other bands, which didn’t match the aggressiveness of the music. People didn’t know what to make of Vinnie. He did have some great songs on that first album, but it didn’t sell particularly well, and the over-the-top nature of his guitar playing left a bit to be desired. Even on a slow, bluesy song, he tried to cram as many notes as possible into the guitar solo, with hilarious results. Great riff, great song, horrendous guitar solo. Even as a kid, when I was learning to play the guitar, I felt like if he could just settle down for thirty seconds and play tastefully—the way he did in Kiss—he’d really be onto something. He seemed to have read my mind with his second and final album, All Systems Go. The songs were better, the sound quality of the album was better, and he played much more tastefully. One of the songs, Love Kills, was written for one of the Nightmare on Elm Street movies, and he had a couple of other hits from the album as well. My favorite song of his, “That Time of Year,” is on this album. But if Vinnie was a hard sell for metal fans, he was an even more difficult one for the general public, whose metal tastes could only allow enough room for the likes of Def Leppard. People couldn’t really get past his strange looks and over-the-top style. Add all that to the fact that by 1990, metal was on its way out. Nirvana would put the final nail in its coffin in less than a year, and Vinnie and his compatriots would be relegated to the bargain bins of the record stores. Like I said before, time has not been kind to 80’s metal, and Vinnie has become one of the de facto elder statesmen of the genre. But his story is far from over, and it gets super weird, so this seems like a good place for a cliffhanger. Found this blog by accident when searching for KISS stuff. That “Back On The Streets” solo is funny- reminds me of Jack Black in School of Rock when he tells the kid he wants to solo on the song they’re making. Except thats for laughs, this song was well…not. Haha. Poor old lady-looking Vinnie; he looks really rough there. 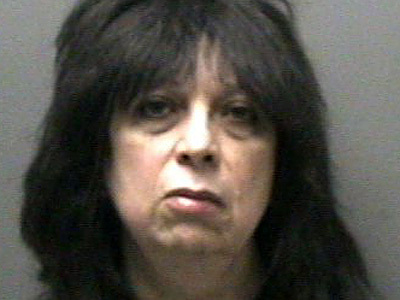 I just found this blog while looking for info on “Vinnie Vincent”. I was reading a recent Rolling Stone interview of Ace Frehley for some weird reason. You know how the internet works.